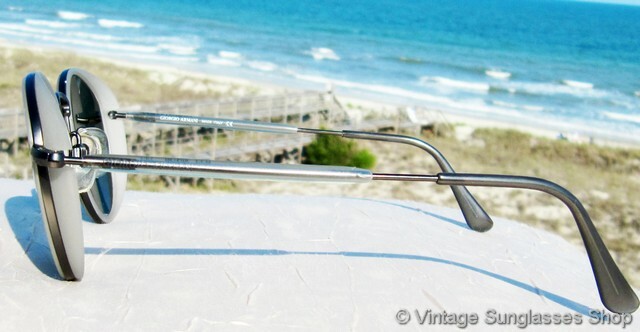 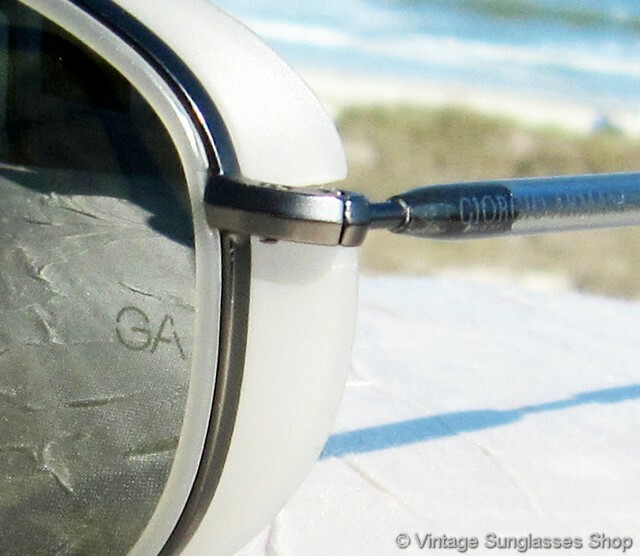 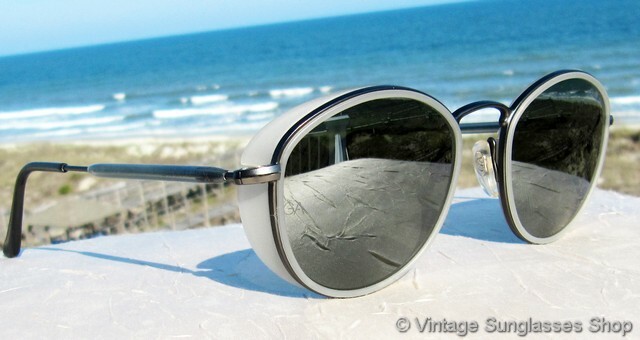 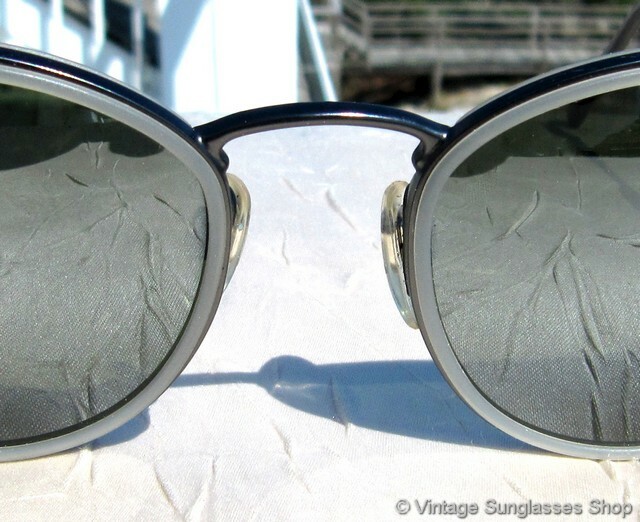 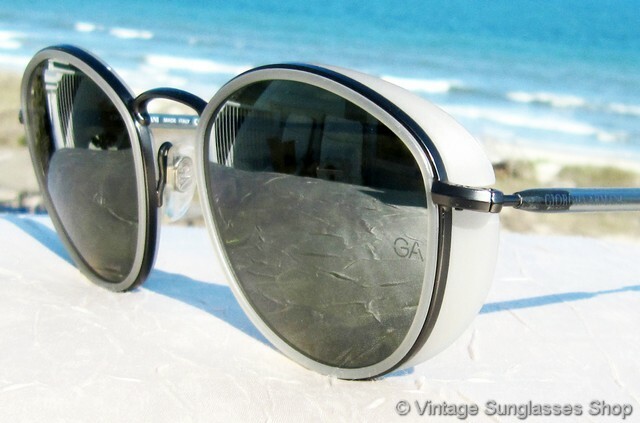 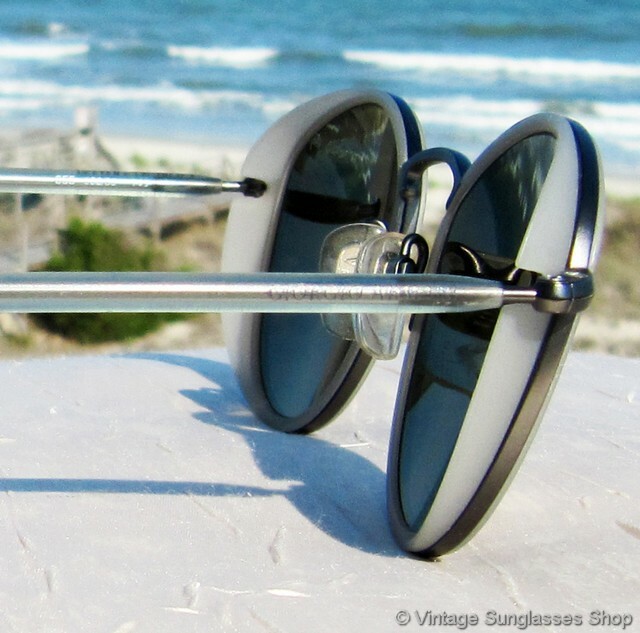 Vintage Giorgio Armani 655 982 sunglasses feature a rare white translucent front frame and eye cups which are designed to contour more closely to the face to provide added eye protection from the sides. 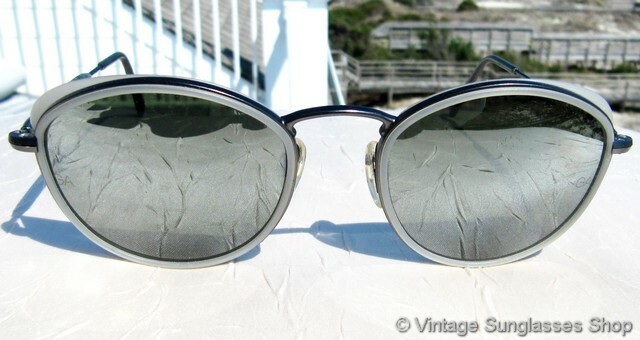 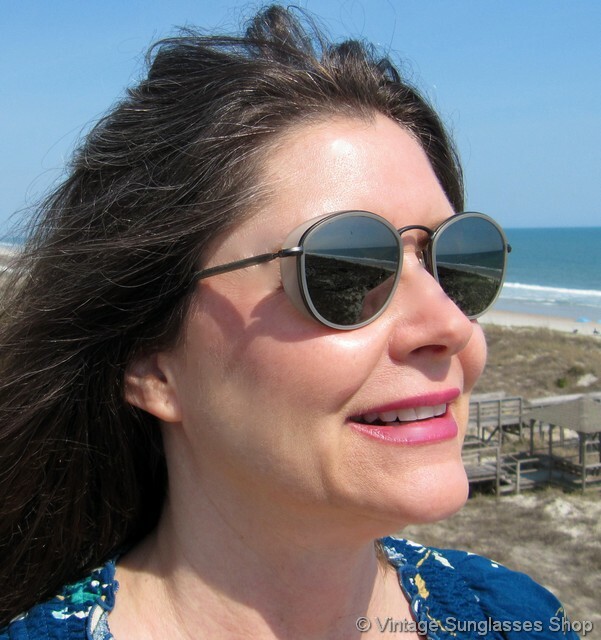 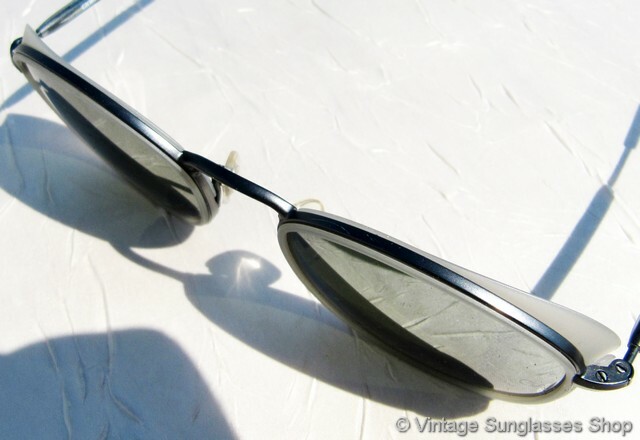 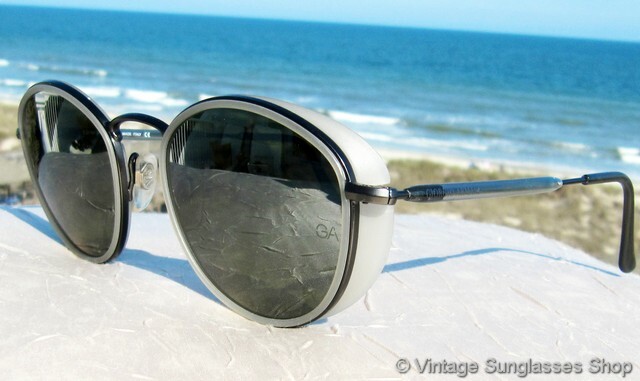 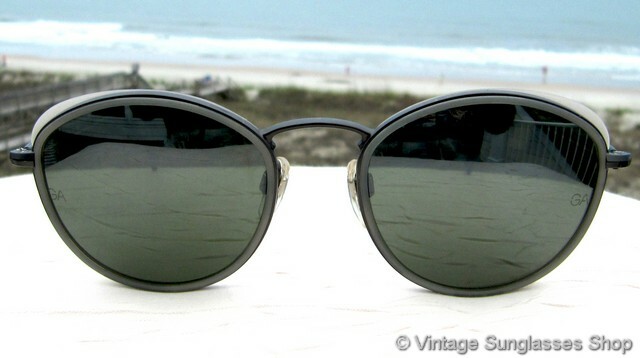 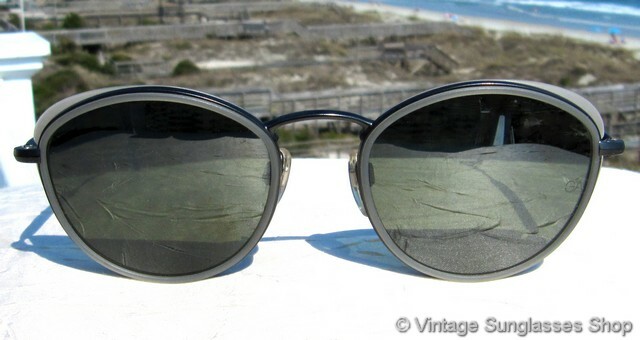 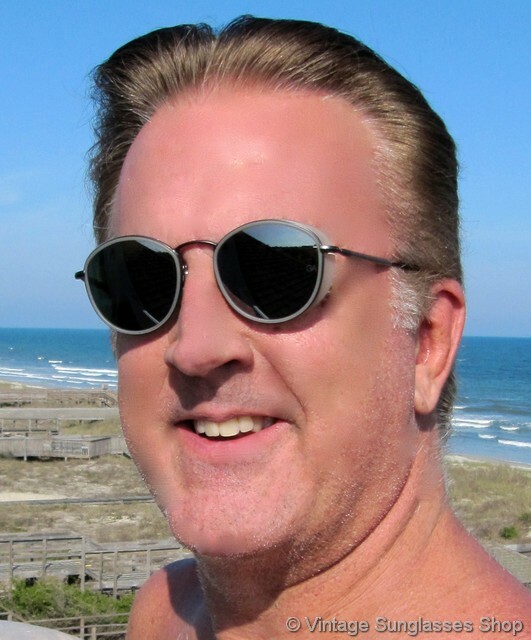 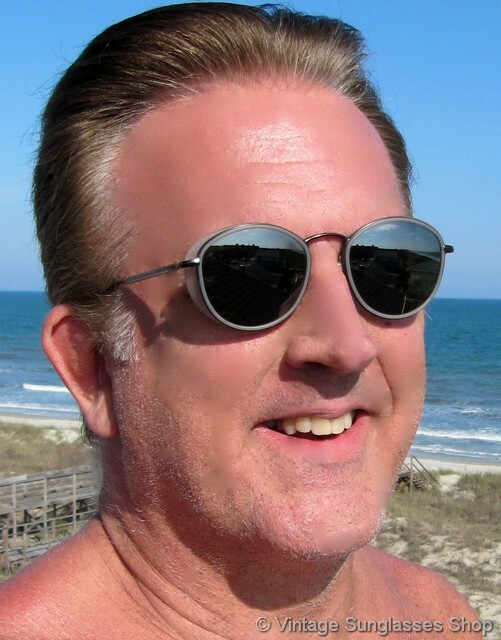 The front of this frame is quite distinctive with the white translucent band framing the Armani mineral glass lenses, and from the sides everyone will notice the unique eye cups that make these sunglasses look as great from the sides as from the front. 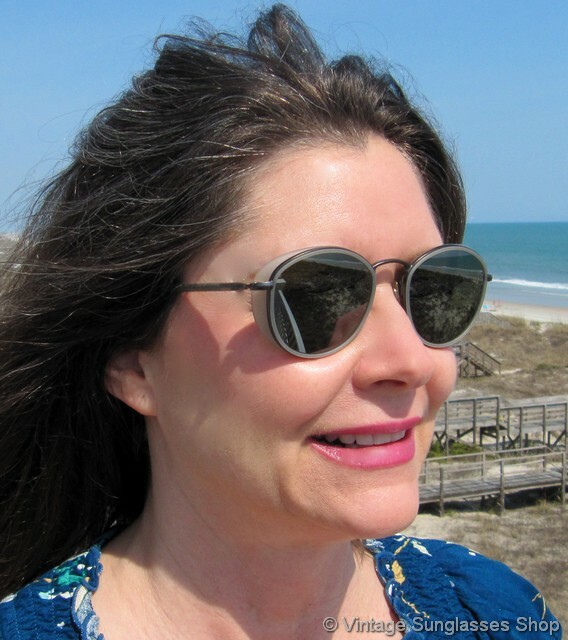 The unisex Armani 655 frame measures approximately 5.25" temple to temple, and the lenses measure approximately " x " at the widest points with both lenses laser etched GA near the hinges. 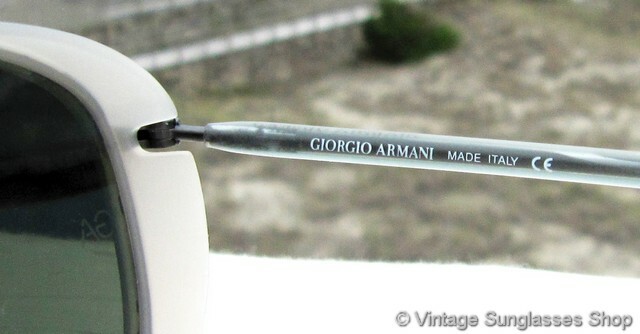 You'll find the Giorgio Armani logo embossed on the exterior of both ear stems, and the inside of one stem is marked Giorgio Armani Made in Italy CE while the inside of the other stem is marked 655 892/36 140.